The Affordable Roofing Company Ltd - Fascia/Soffits/Guttering, Roofer based in Cheshunt, Hertfordshire. 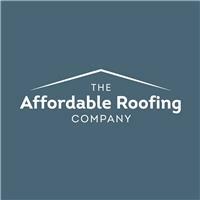 The Affordable Roofing Company based in Cheshunt, Hertfordshire. We endeavour to offer the best prices possible while maintaining quality workmanship and use quality BBA/BSI certified materials. All our work is installed to latest building regulations and to NHBC guidelines. We have been roofing since 1997 and have experience covering all aspects of roofing work, we have an excellent allround understanding of the build environment. Integrity, impeccable standards and dedication to timely completion of each job are fundamentals of our company ethos. Our staff will always have the utmost respect for you and your property. We aim for the fastest turn around on quotes possible. Small jobs can often be surveyed and a quote supplied in the same day of initial contact. Fully insured to £5million public liability.